♦ We have several events coming up! 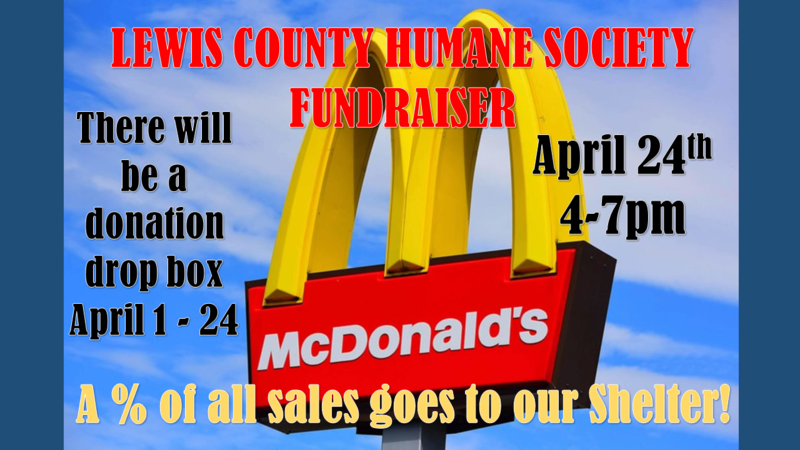 A Lowville McDonald's fundraiser on 4/24/19, a Work Day on 4/27/19, and an Open House on 5/18/19. We hope to see you around! ♦ Find our Membership form here. We just ordered some stickers/window clings to send to members! 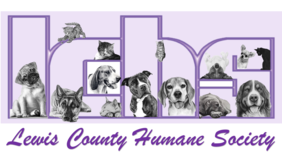 ♦ We have updated our Wish List for anyone would like to help out the shelter by donating some much-needed supplies. 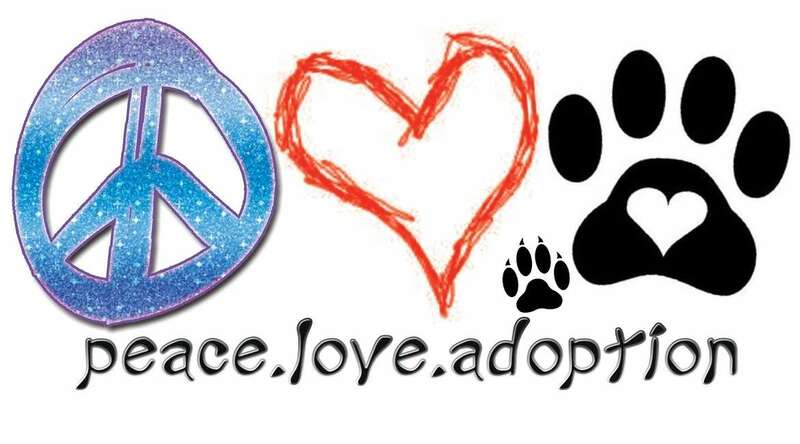 ♦ Adoption and surrender fees have been added to the Adopt and Lost Pets pages. 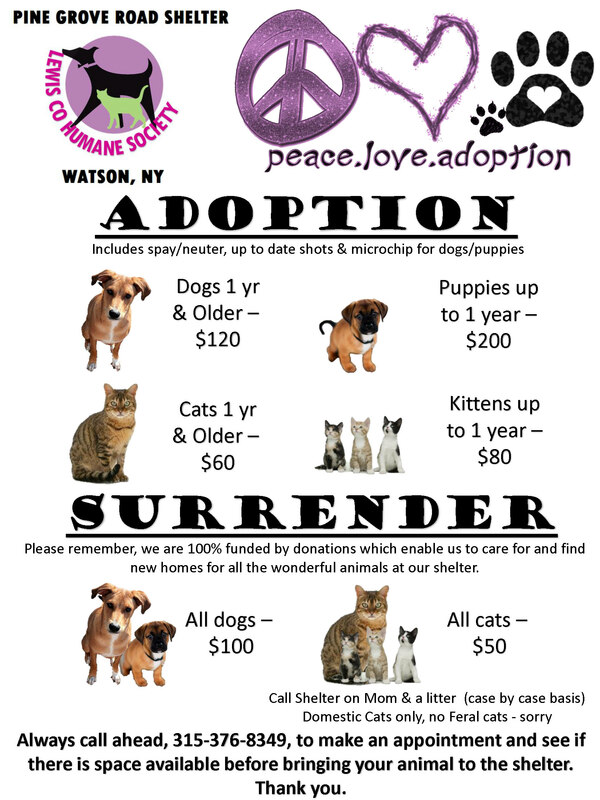 We also have a printable adoption & surrender fees flyer. 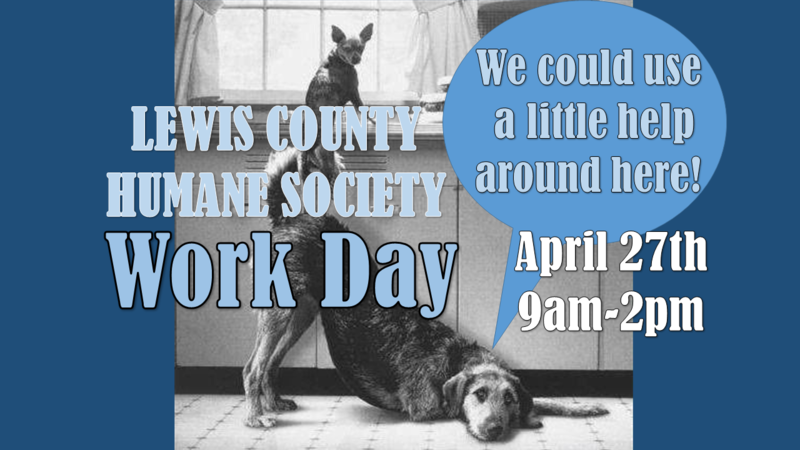 The Lewis County Humane Society is a non-profit organization which owns and operates a no-kill animal shelter on the Pine Grove Rd in Watson, NY. 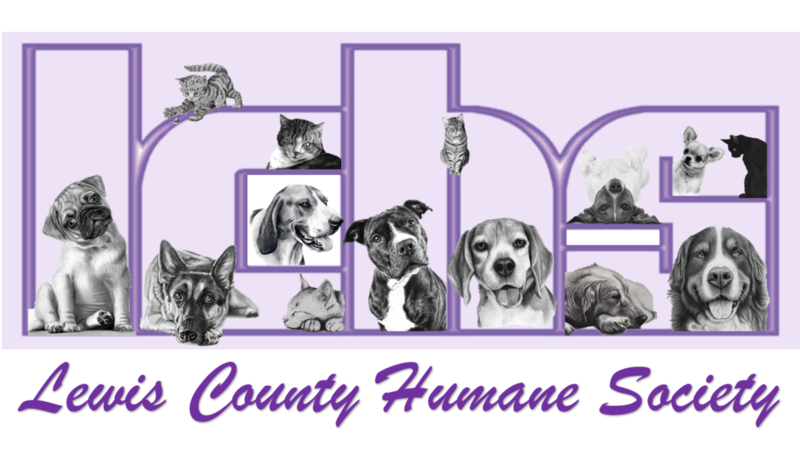 We are 100% funded by donations and greatly appreciate all your support which enables us to care for and find new homes for all the wonderful animals at our shelter. Ashes was here before, and is a return. She is a 5 yr old female. She would love to find her furever home! 2 year old male. Recently fostered for 30 days, but is now back at shelter. We'd love to see him get another foster home, or a permanent one to get him out of here. This boy desperately needs a home where someone can spend time with him and work with him on training. Harrison needs to be an only pet, he does not like most other dogs. We also don't recommend him around small children, as he is a big boy & does play rough & jump. young (age unknown) male, very distrusting, will need someone to work with him. Male, approx 2 years, Tri-colored very large hound. 3 year old male Blue Tick Hound. No other dogs or cats. Does like kids. Would be a good hunting partner. Female, 2.5 years. She's been here since Nov 2018, and she's ready for her forever home! Very sweet kitty. Male, 7 years. No children, and doesn't like other dogs. 6 yr old female long haired Chihuahua, no cats or small children.